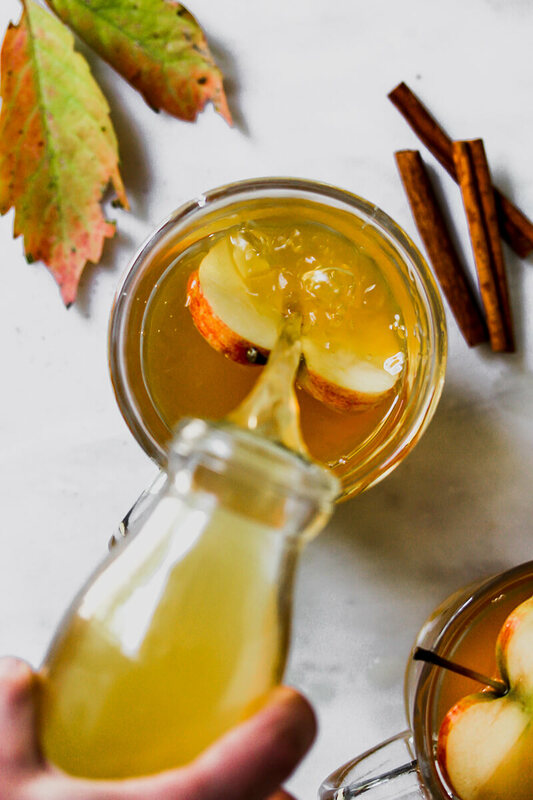 Warm up your chilly fall days with spiked 3-ingredient Hot Apple Pie Punch. 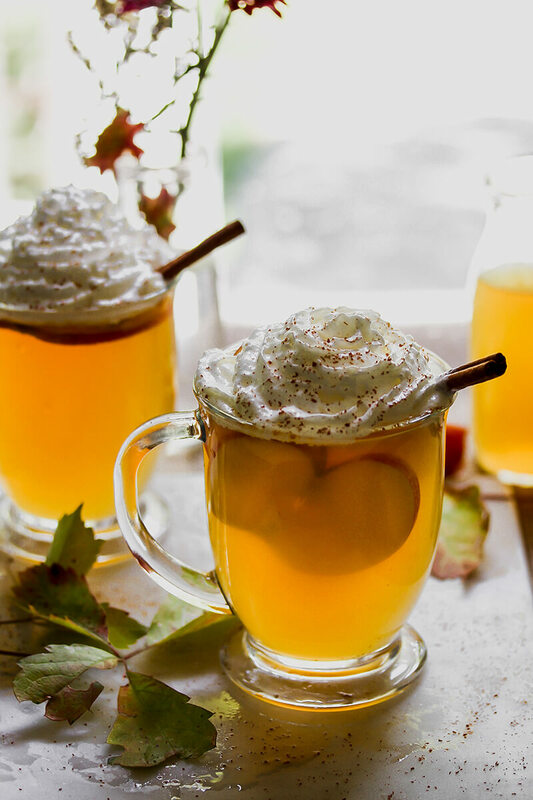 This adults-only hot toddy tastes like apple pie a la mode (with an extra kick). Chilly days call for something warm and delicious so curl up with this comforting Hot Apple Pie Punch with a kick. Living in Alabama, we usually don't feel the chill of the winter months until around January. 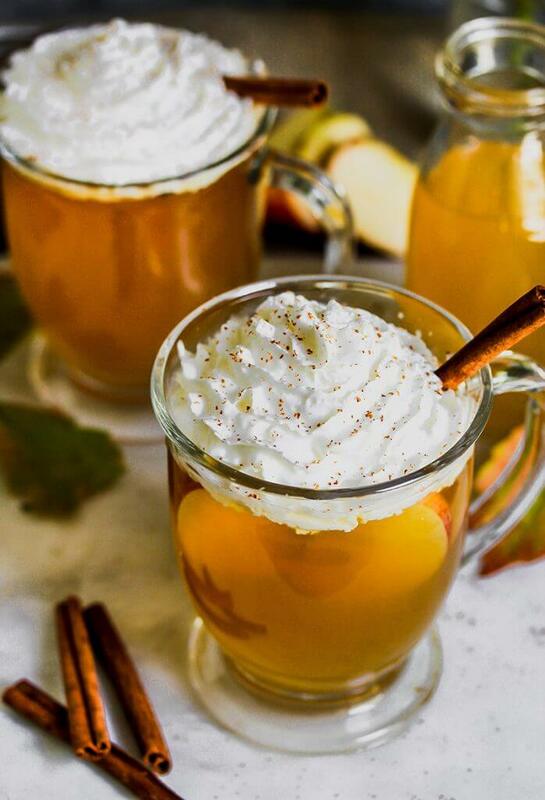 When talking to a friend who lives in Minnesota about Halloween traditions she shared that it is always very cold by Halloween and a mug of Hot Apple Pie Punch is everyone's favorite drink to warm them up. I was so intrigued by the recipe idea and by her passion and delight as she shared and laughed about how her neighborhood's favorite cocktail that I had to try it for myself. She was right! This recipe really is like warm apple pie a la mode in a cup! Fortunately, the recipe is simple to make and requires just a few ingredients. Best of all, it makes your home smell AMAZING! 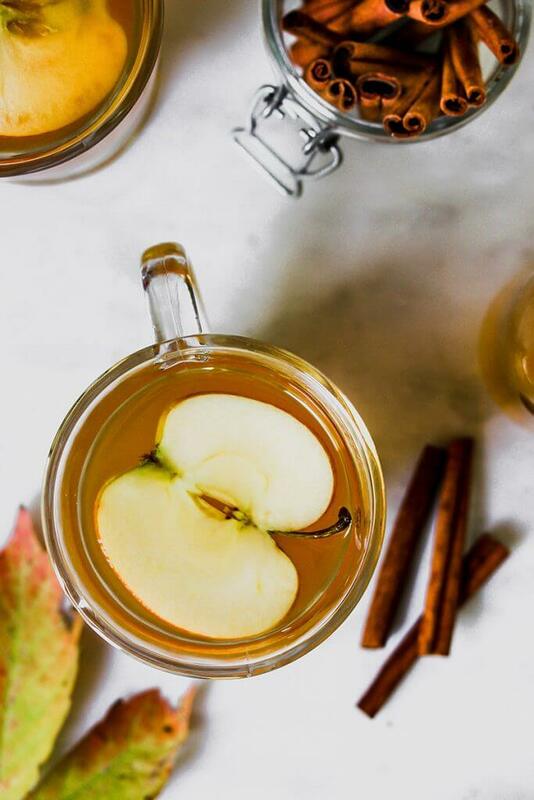 I like to warm up the cinnamon liquor (I tested with Fireball) and apple cider in a slow cooker. If you want to float apple slices and cinnamon sticks in with the liquid ingredients, feel free. 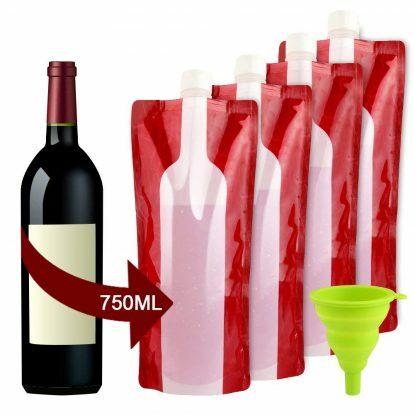 As soon as the punch heats up, you're ready to serve. If you're in a hurry and need to speed up the process, warm the punch on the stove top and then transfer it to a slow cooker to keep it warm throughout your party, trick or treating festivies, etc. You can serve the punch as is or for an extra kick, add whipped cream. 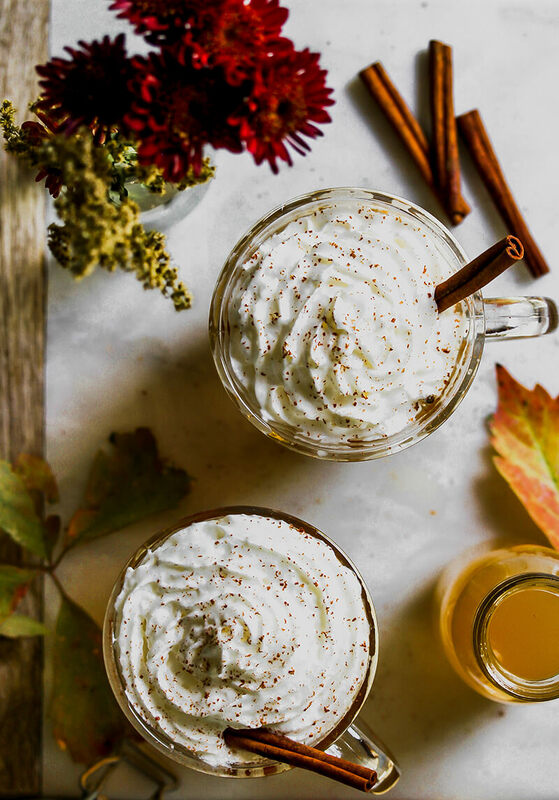 Whether you make fresh whipped cream, spiked whipped cream, or grab the can and give it a squirt, you are sure to be thrilled with the outcome! 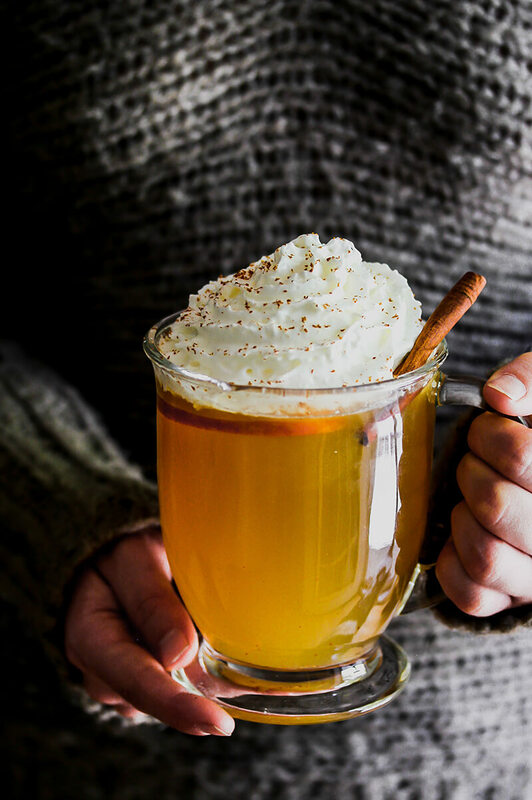 To make the drink nonalcoholic, omit the cinnamon liquor and add a few more cinnamon sticks when heating to intensify the cinnamon flavor. 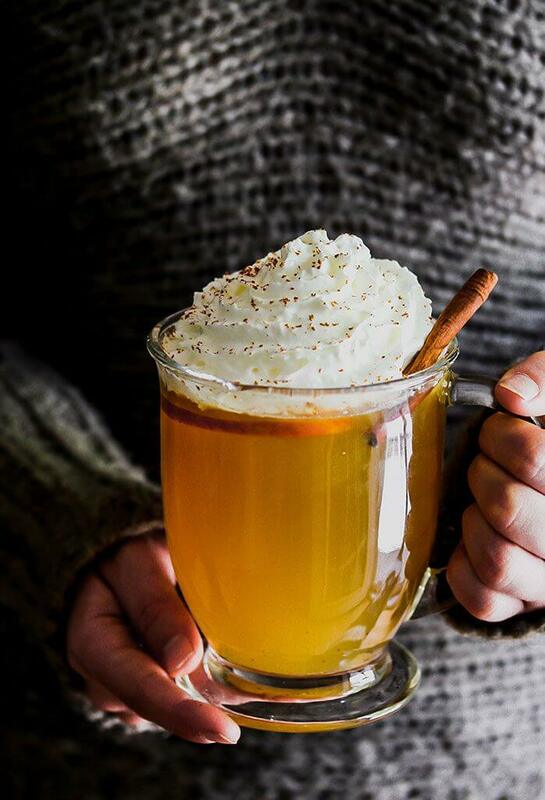 Do you have a favorite hot toddy for the fall? Share in the comments!! **All photos by the amazing Jamie Vespa! When ready to serve, ladle 1-2 cups punch into a heat-resistant mug and top with whipped cream. 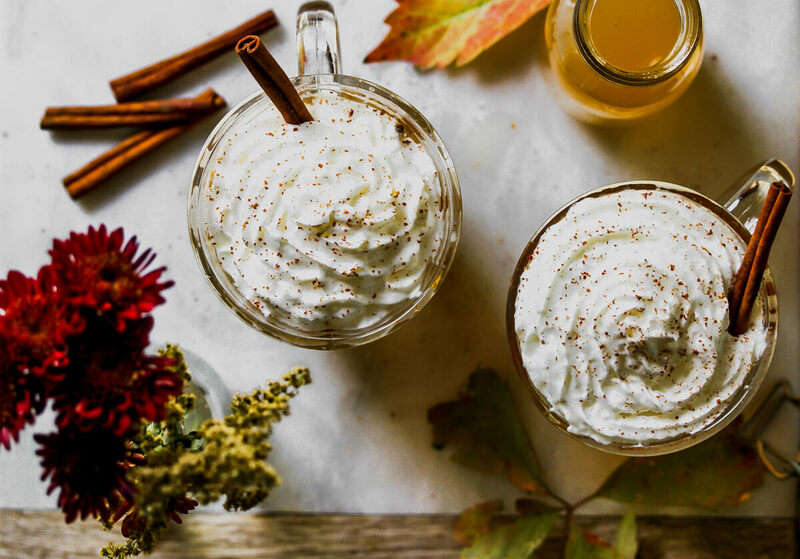 Grate some cinnamon onto the drink and add a cinnamon stick for a fun and festive twist. Have some fun! 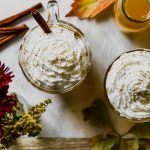 Play around with this recipe and try other flavor combinations (such as hard apple cider and vanilla vodka steeped with cinnamon sticks) or top the Hot Apple Pie Punch with homemade Cinnamon Whisky Whipped Cream like this recipe from Southern Fatty.